With a little over a month to go until our babe arrives, we have finally entered the finishing touches stage of the nursery project. 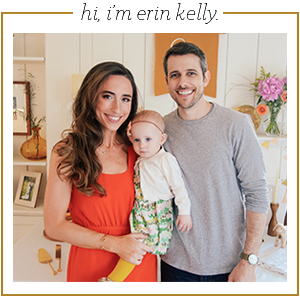 From the very beginning, I started scoping out ridiculous amount of nursery inspiration. 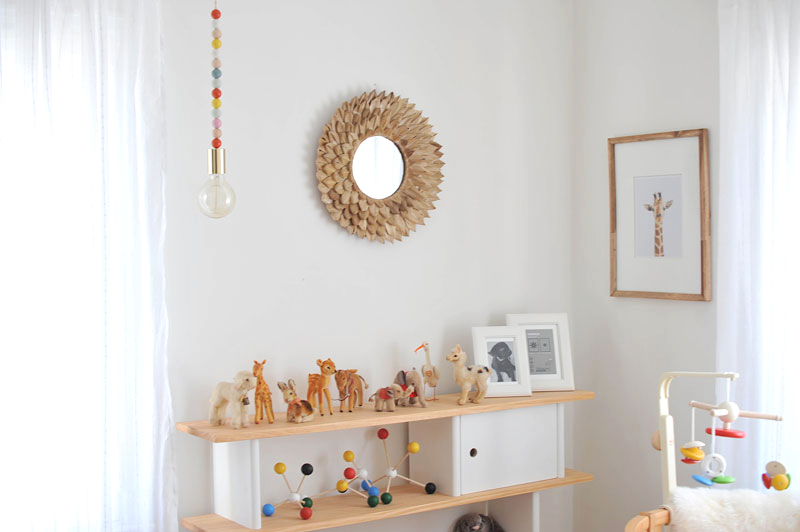 And I kept coming back to the brilliant simplistic and modern styling of Sharon Montrose's Animal Print Shop nurseries. 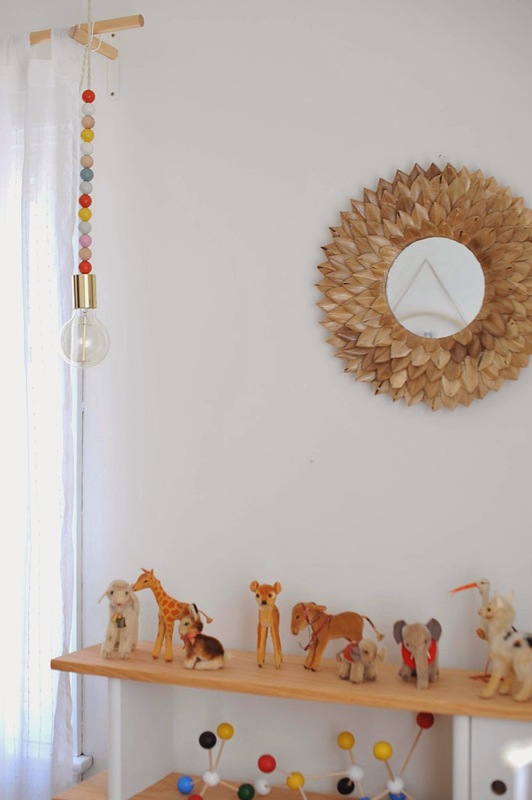 Her baby alpaca nursery, and this pendant light, are just so spot on. 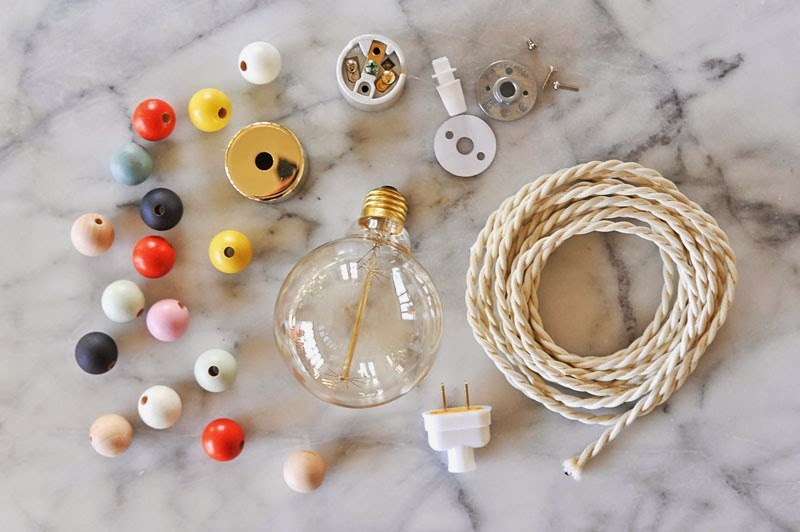 So I set out to recreate a DIY version of this pendant light using wooden beads, twisted cloth covered wire, and a vintage light bulb. 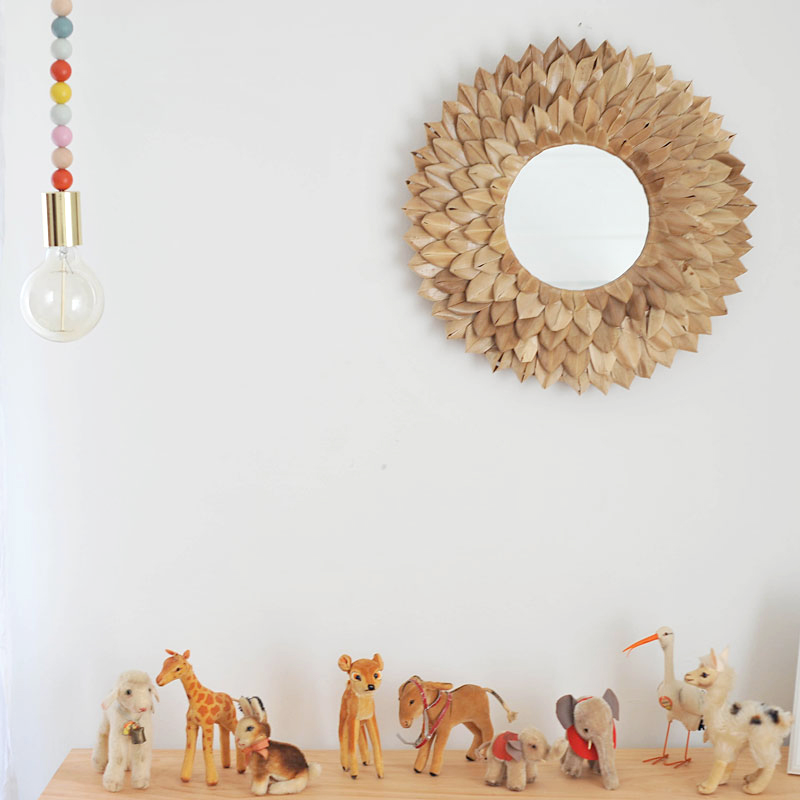 Aside from the electrical assembly, which did take a couple hours, this project was simple with big payoff in terms of bringing color and whimsy to the nursery. 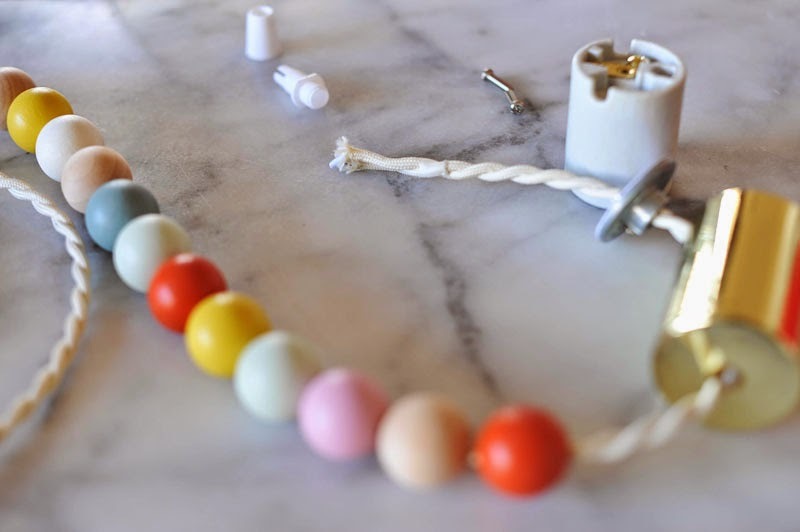 To start, drill 1/4" holes in 15-20 wooden beads. 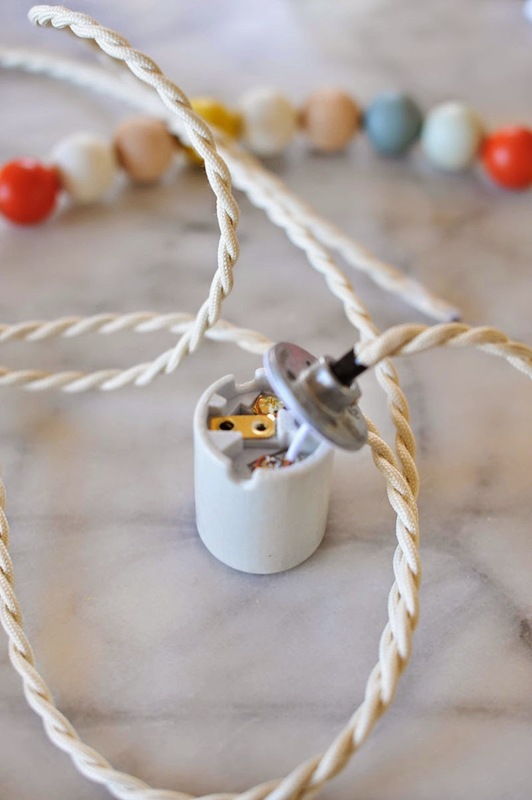 I bought beads that already had holes, but they weren't big enough to string the covered wire through, so we needed to expand them. 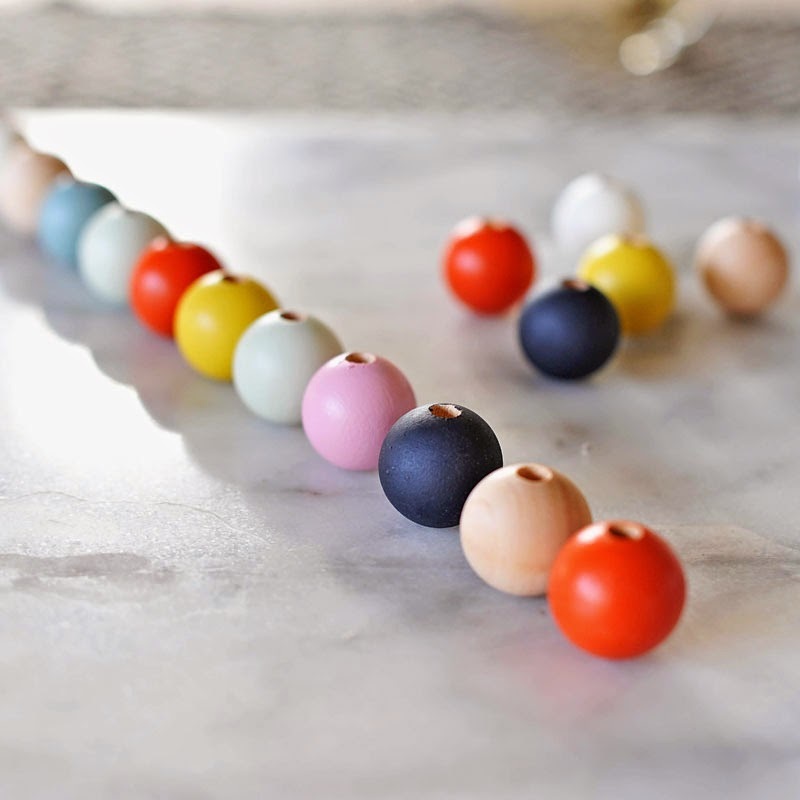 Pick 6-7 of your favorite paint colors and buy samples from your local hardware store. 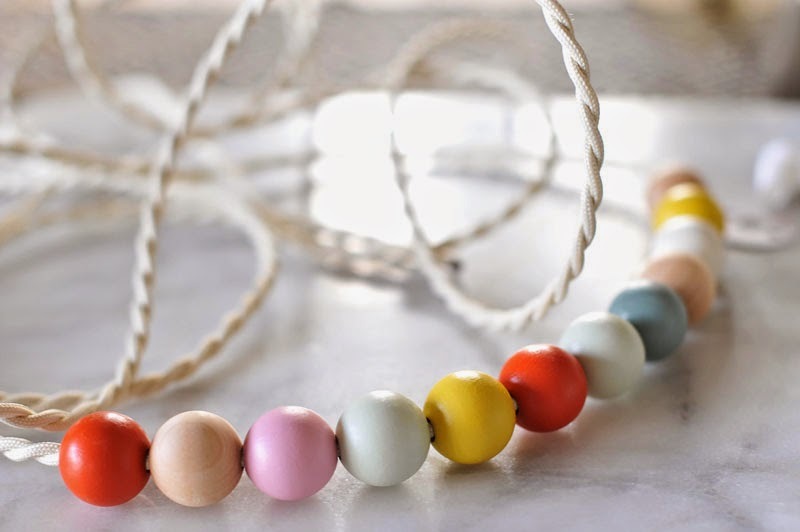 Using long toothpicks or skewers, place wooden beads on sticks and paint. I did 2-3 coats for each color, letting each dry for 20-30 minutes between coats. 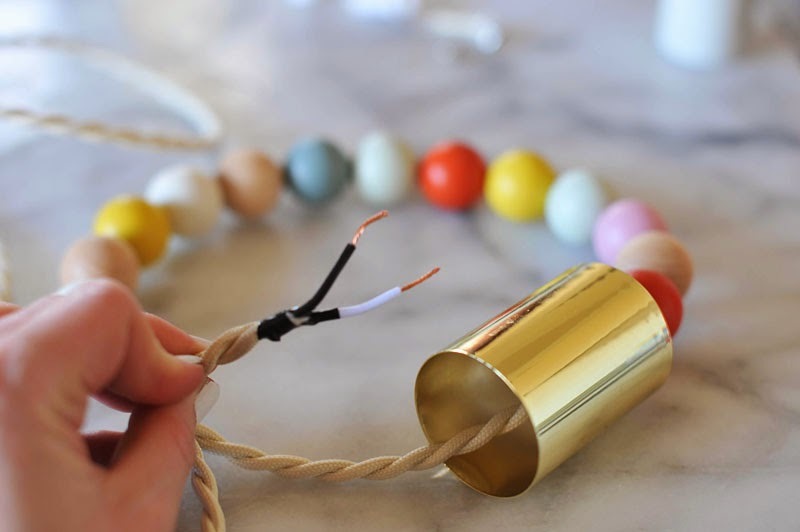 For the electrical assembly side of things, we followed the Color Cord Company's video tutorials. We still have a few finals details to tackle before we can say the nursery is complete, but we are SO close and I can't wait to share the entire room with you soon. What do you think? 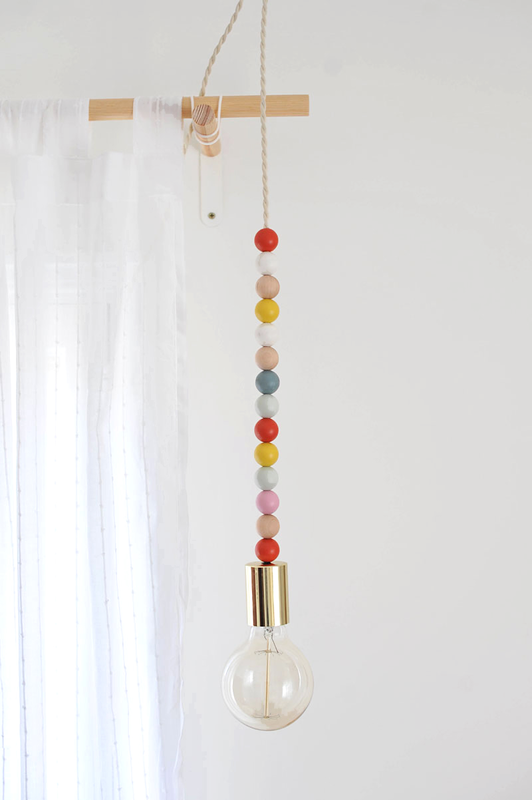 I feel like this wooden bead pendant light can be repurposed (with some colors adjusted...or not!) and used in any room in the house. I kind of want one in our bedroom now.